The wolf spirit animal meaning in Native American mythology conveys strength and courage. A symbol of freedom and wisdom, the wolf often appears to guide your journey of self-discovery. While the wolf is a popular clan animal for many tribes, it can also be a personal spirit guide. Wolf spirit can come to you in many ways, such as in a dream, medicine animal or totem animal. There are specific times when wolf spirit allows its presence to be known. During tumultuous times and situations that challenge you and test your mettle, the wolf spirit can help you. If the wolf spirit appears to you in a dream, the message is to use your instincts. If you are in a situation where you need to be wise and alert to nuances, the wolf spirit may appear in your dreams as a reminder to use these natural abilities. If you're currently accessing these and other talents, the wolf spirit reveals itself to let you know you aren't alone. A very social animal, the wolf values community and family. You may need to exert your instincts to evaluate a current family situation or community issue. Sometimes the dream wolf appears to remind you to turn to a specific person, such as a spouse or parent for guidance and support. Stalking wolf: You may have enemies that are planning some form of attack either physical, emotional or work-related. Examine your life and consider what area of life you may be vulnerable. Wolf killed: This type of vision or dream can be a warning of a betrayal or death. The death can be symbolic of some piece of yourself that has died. This can be a positive releasing of a negative habit or situation. Observing wolf: A dream where the wolf is simply observing you can be very telling. Shamans advise us to pay close attention to the messaging of the wolf's eyes, such as pain, anger, fear or other emotional response telegraphed through its eyes. Attacking wolf: This could be a warning of an impending personal attack or robbery. This could be physical, but may also be a warning of some other form of attack, such someone trying to damage your career, reputation or relationship. 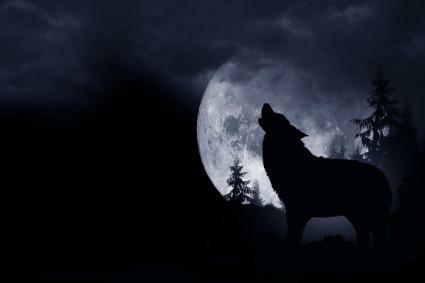 Howling Wolf: A wolf or pack howling can be a call to action or a cry for help. In Native American customs, animal medicine is part of healing illnesses and diseases. These can be physical, emotional, psychological or spiritual. When the wolf spirit reveals itself as a medicine animal, it offers healing through various wolf characteristic and qualities. These can include healing through empowerment, restorative energies, and guide you in spiritual development. Call upon the wolf's spiritual energies and physical energies to assist you. The totem spirit animal is called up when you need specific energy and abilities that the wolf can imbue you. If the wolf is your totem spirit animal, it is your dominant animal guide throughout your life. Lean upon the wolf spirit for strength, power, and determination to face your challenges. 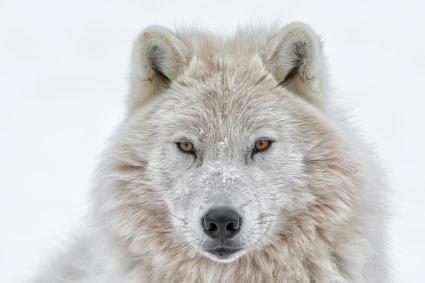 The arctic wolf (white wolf) has adapted to its harsh environment through the skills of persistence and strength. White wolf arrives when you're faced with severe and harsh conditions that challenge you to the very core of your being. You can draw upon white wolf's abilities to survive the Arctic. One of these abilities is resilience, and another is stamina. White wolf can teach you how to tap into your highest potential as you rise to meet and conquer the challenge before you. 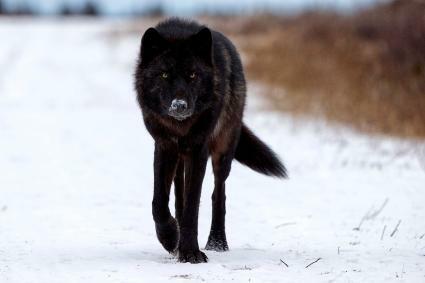 The black wolf is haunting and often strikes fear and terror in those it appears to in dreams, visions or meditations. This spirit wolf arrives on the scene as a messenger. This may be a warning, or it could be the announcement of a lesson in life about to unfold. The takeaway from such an encounter is do not fear. If you respond and move through life from a place of fear, you cheat yourself of possibilities. Being afraid to step out from your comfort zone means you miss great opportunities. Be fearless like the wolf and you can face your challenges with strength and resilience. If the gray wolf spirit comes to you, it is a sign of transformation. Skinwalkers often take on the shape of a wolf. The message is to embrace that change as part of your spiritual journey and growth as a well-rounded individual. With this transition in life, you may be called to a service to others. This can take any form of service either as a public servant or military service. It could be as simple as taking care of another person. The key to receiving this spirit animal in your life is to be open to change and have a willingness to follow where the gray wolf leads you. Take stock of your current situation and respond to the calling. 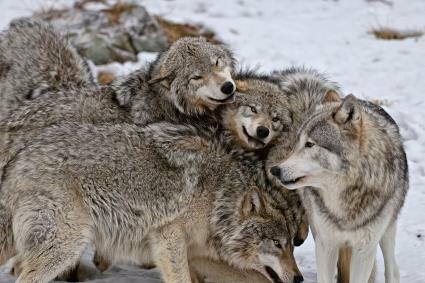 A pack of wolves can mean you'll soon face a battle or outright war. This can also be a personal or inner war as well as entering a real war. 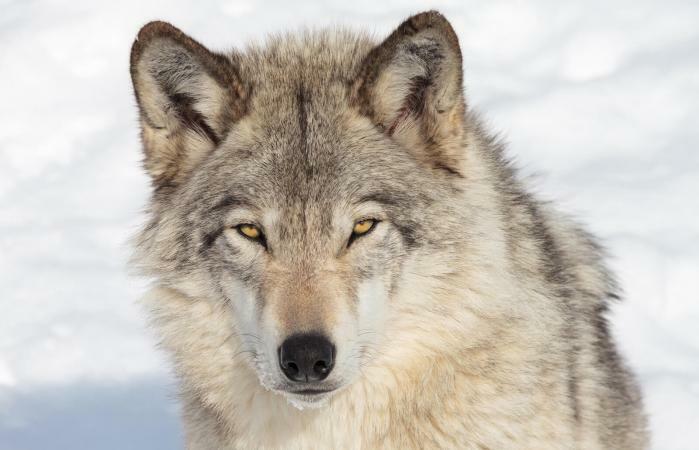 The arrival of a pack of wolves may be foretelling of a competitive event or situation, such as competing for a job, promotion or meeting a sales quota. Whatever confrontation you face, the pack can support you, lend you strength and will be loyal to the end. It can also mean your family and/or friends need your support. A wolf pack can also be a reminder of the importance of family and community and that you need to pay closer attention to your social life. A lone wolf that stands separately from a pack brings a personal message of freedom, independence, and bravery. You may soon undergo some form of separation from those you consider your pack (family). The wolf spirit reminds you that it is possible to function on your own while still having the support of the pack to fall back on. The nurturing of a family (pack) is designed to fortify and strengthen your personal abilities and power so you can thrive on your own. It's okay to need the pack and return to it whenever you desire. The wolf infuses passion into your life and all that you undertake. The wolf spirit animal carries many messages to its charge. When you pay attention to the many details and nuances of your wolf spirit, you can decipher the meaning of its message.